Here are some of the wonderful people behind last week’s Farm to Fork Cocktail Supper, which was a huge success!! Missy Camp, thank you for providing such a beautiful venue. 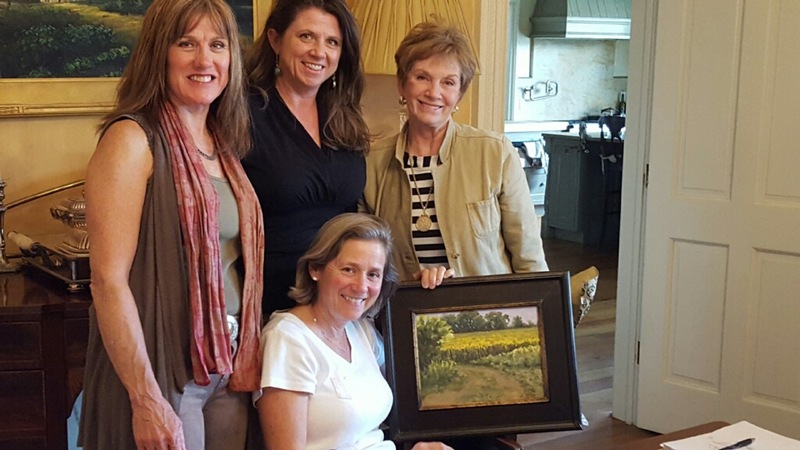 Amy Welborn and all of the talented artists, we were so honored to partner with you. Eunice Ray, Debbie Stevens, and many others who serve on the BA Board and Fundraising Committee, your hard work was instrumental to the success of this event. THANK YOU to everyone who was involved: in planning, with generous donations, showcasing their art… and of course, to everyone who attended the inaugural event honoring Carlton Ridge and benefiting Brownsboro Alliance and Brownsboro Alliance Trail Association – BATA. We are already looking forward to next year!